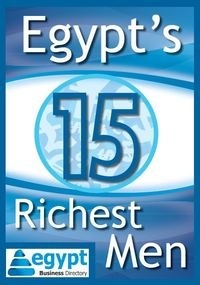 26 Egyptian companies and investment entities took part in bilateral meetings with European counterparts. In the presence of representatives from more than 500 companies from the European Union and South Mediterranean, the General Secretary of the Federation of Egyptian Chambers of Commerce (FEDCOC) Alaa Ezz Amin presented investment opportunities in agriculture and food industries in Egypt. The presentation was part of the Euro-Mediterranean days to support investments that is taking place in Milan in the framework of Expo universal exhibition. Amin presented Egypt's plan to reclaim 4 million acres of land which will be followed by investments in irrigation, food production along with the required agricultural equipment. He showcased the available opportunities for trilateral cooperation in production and manufacture in free trade areas for Egypt; these areas include 1.6 billion consumers and will reach 2 billion after joining the Mercosur and the Euro-Asian zones. Mr. Amin also presented the financing options for investments in Egypt which surpasses $22bn offered by different banks, development funds and aid institutions. 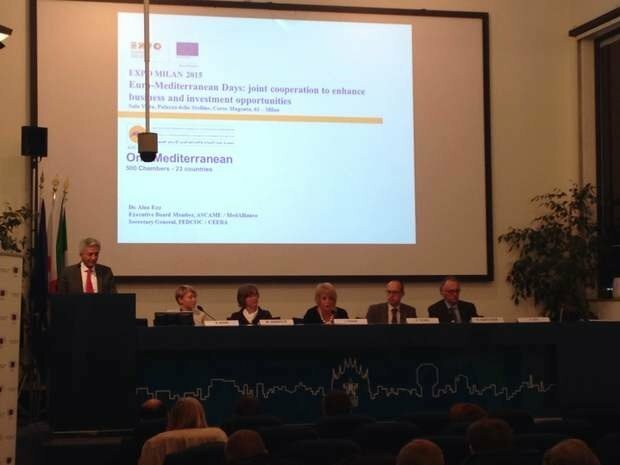 The European Investment Bank and the European Bank for reconstruction and development also presented their financing mechanisms while the European aid and the different departments of trade and investment showed their projects and grants in the south of the Mediterranean. The presentations were followed by bilateral meetings between companies in which a delegation of 26 Egyptian companies and investment entities participated. The conference was inaugurated by Antonio Tajani, Vice President of the European Parliament who stressed the importance of Euro-Mediterranean cooperation and economic development in the region. The conference was also attended by the deputy of the Italian Foreign Ministry, head of the Milano Chamber of Commerce, head of the Euro-Mediterranean center for supporting SMEs as well as leaders of the Italian and European Chambers. The conference serves as a part of FEDCOC's efforts to attract investments that has been ongoing since Sharm El-Sheikh's Economic summit that took place in March.